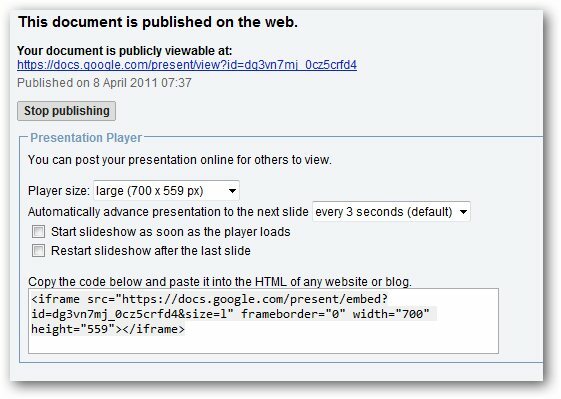 It is possible to insert spreadsheets, presentation slides, forms in your articles, without using image editing software. Indeed, Google Docs offers, among other things, to add such things very easily. Obviously, all is for free of cost. Select from the New menu and create a new (or import an existing one). Once the completed, click to Publish. You can track the poll result too! Branding is a very important factor on the web to differentiate yourself from others, in this article, learn how you can create and add a favicon for your own blog. Post review, backup, links to old posts, respond to comments and emails, checking spam, Wordpress updates are crucial matters that often most bloggers do not pay attention to. 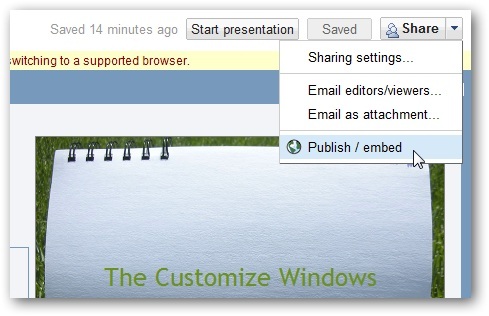 Cite this article as: Abhishek Ghosh, "Insert forms,spreadsheets or slides in your WordPress post," in The Customize Windows, April 8, 2011, April 18, 2019, https://thecustomizewindows.com/2011/04/insert-formsspreadsheets-or-slides-in-your-wordpress-post/.